This Summer my family traveled to the shore to enjoy a few days of fun in the sun. We took Mason to the beach at 5 months old, so we figured we could handle Amanda at 6 months old. Well, there is one major difference between my two children...and it can get messy. I'll keep the story as "clean" as I can. However, I am sure there are many of you that can relate to what I am about to say. On the way home from our most recent family vacation, after 4 days of not pooping, Amanda decided to unload. No problem, right? We will just pull over to the Arby's. We were planning on stopping anyway to get lunch. I'll change her there. Well, little did I know that at this particular Arby's location, that there was no changing station. Ok, no problem. Back out to the car I go. I decide that I will just change her there. Easier said than done! I unbuckle Amanda and take her out of her seat. Not only did she leak through her diaper, she completely destroyed her clothes and car seat. Have you ever tried to clean a car seat with wipes? Not fun, my friend. And, not only did she get the car seat, it leaked through the belt slots and I had to totally take apart her seat to clean it. So, here we are. A hot summer day, in a parking lot trying to change a very messy 6 month old. Not ideal to say the least. If I had my wits about me, I would have taken pictures of this ridiculous scene. I can laugh about it now, but when me and my husband were in the middle of it, I didn't see the humor. Why go through this story? There is one thing that would have made this scenario so much better..a car seat cover. If I had one, all I would of had to do was take the cover off, put it in a bag to wash when we got home. Plain and simple! Nomie Baby car seat covers would have really come in handy on this trip! The Nomie Baby infant car seat cover is mess-proof, spill-proof, and leak proof. More than that, they are super easy to put on and take off your car seat. Made to slip on your car seat, all you have to do is bring the straps through the velcro openings for a perfect fit. I was lucky enough to review the toddler size/convertible car seat cover. Like the infant car seat cover it is washable, mess-proof, spill-proof, and leak proof. Nomie Baby toddler seat covers also have a protective waterproof lining. The light blue color car seat cover fit perfectly over our Britax car seat. I had to adjust the straps a little when I first put the cover on, but once I got the straps through, I was ready to have Mason jump on in. The quality of this cover is superb! This I loved that the material is super soft and comfy for Mason. He loved it and was very excited to see the face lift that his seat received. Easy: Remove cover in 5 seconds. Velcro and elastic make it easy! Safe: Fabrics have passed flammability and lead tests. Nomie Baby also makes an infant and toddler cozy stroller blanket. Since the weather has turned cooler, I have been bundling Amanda up before putting her in her car seat or pacing a blanket over her. I hate to put her in a coat, then in a car seat. I find that the straps never really fit properly. I also hate tucking a blanket around her. Inevitable, she kicks out of it and it winds up on the ground. That is why I LOVE Nomie Baby's cozy stroller blanket. Not only can it be used for the stroller, but it can double and be used in the car seat. Since receiving this blanket, I have had Amanda nice and cozy in her car seat. I honestly do not have to worry about a coat or jacket when she is in her seat because this truly keeps her warm. The infant stroller blanket is fleece-lined with a wind resistant outer layer to keep your baby warm. The stroller blanket zips around your baby, keeping your infant safe from harsh winds and the cold weather. 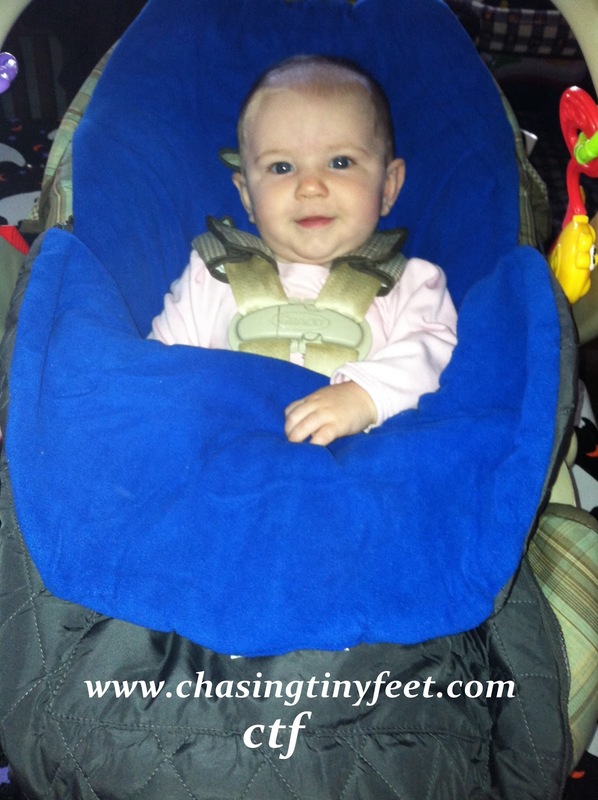 Like the car seat cover, the stroller blanket goes on and off easily for cleaning. It is also washing machine and dryer friendly! I would recommend this blanket for anyone with and infant this winter. We will definitely be using it on both her car seat and stroller when out and about. 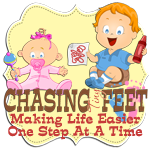 Thank you to Nomie Baby for sharing thier wonderful products for me to review. All opinions are 100% mine.